The Ringling Bros. and Barnum & Bailey Circus is currently on tour with its latest spectacle, Circus XTREME, and a collection of photographs coming up for auction at Swann Galleries offers a glimpse into the circus world of nearly a century ago, taken by Edward J. Kelty. 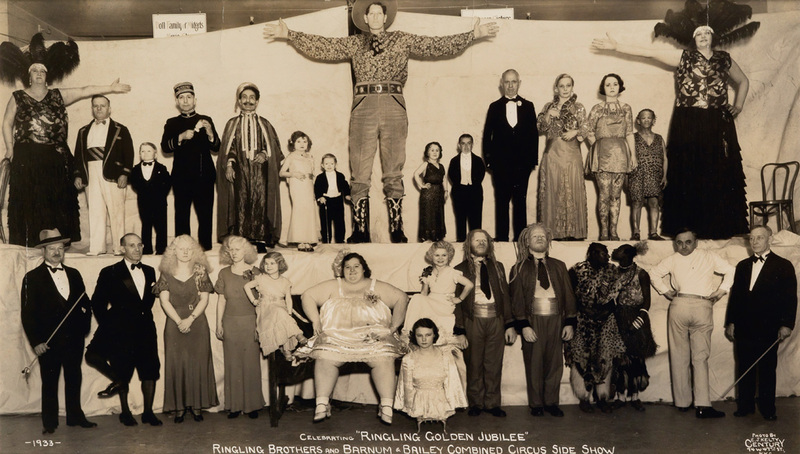 Lot 30: Celebrating ‘Ringling Golden Jubilee’ Ringling Brothers and Barnum & Bailey Combined Circus Side Show, 1933. Collector Alan Siegel amassed this assortment of images of the Greatest Show on Earth and many of its predecessors and competitors by the inveterate photographer Edward J. Kelty. 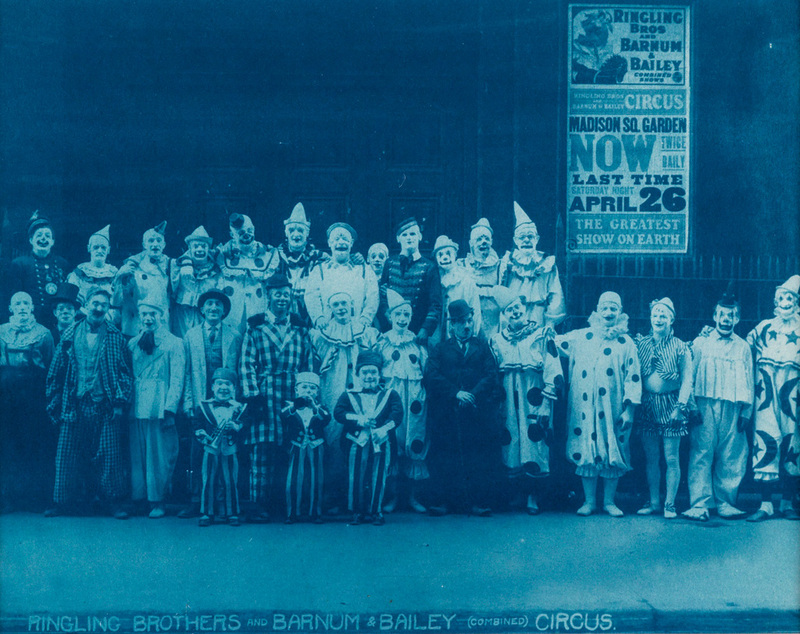 Lot 32: circa 1925 cyanotype Ringling Brothers and Barnum & Bailey (Combined) Circus. Kelty (1888-1967) moved to New York City following his service in the Navy during World War I, and opened up his first studio, Flashlight Photographers. Kelty was drawn to the circus and visited Coney Island often. In the summer of 1922, he transformed his truck into a mini studio, darkroom and living quarters, and traveled across America. His panoramic views captured the performers—human and animal—associated with Ringling Bros. and Barnum & Bailey, Hagenbeck-Wallace, Sells-Floto, Clyde Beatty, Cole Bros. and other train, wagon and truck shows. 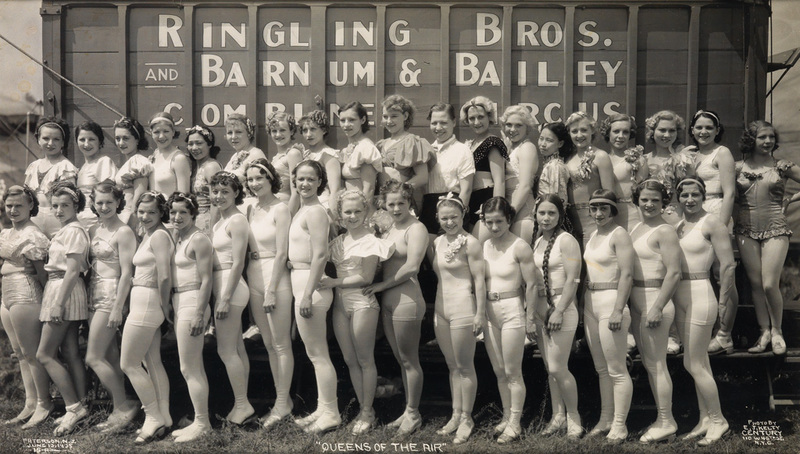 Lot 35: from a group of three panoramic photos of ladies of the circus, 1935-36. After Kelty died in 1967, his estranged family found no photographs, cameras or negatives among his belongings—just one old lens and a union concession employee ID card identifying him as a vendor at Chicago’s Wrigley Field. There was no evidence of the man who, along with his custom mammoth-size banquet camera and portable studio, documented America’s greatest traveling circuses. 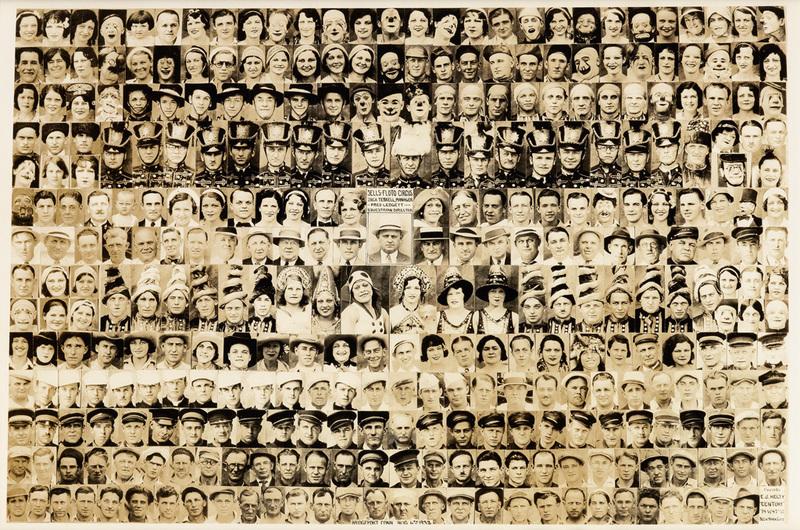 Lot 38: from a group of eight circus photographs comes this montage of Sells-Floto Circus staff.